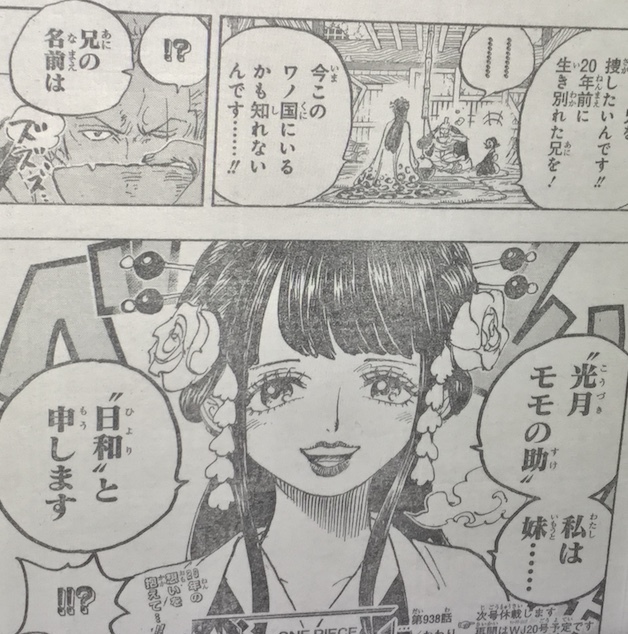 One Piece Chapter 938 spoilers and raw scans has arrived. This new chapter will cover more of Zoro as he finally comes back in the scene after being missing in the Whole Cake Island arc. The previous chapter left us hanging with Zoro using his three-sword style attack against Kamazo, an assassin working for Orochi. Now, we finally got to see the result of their battle. This chapter confirms that Kamazo has been defeated by Zoro. 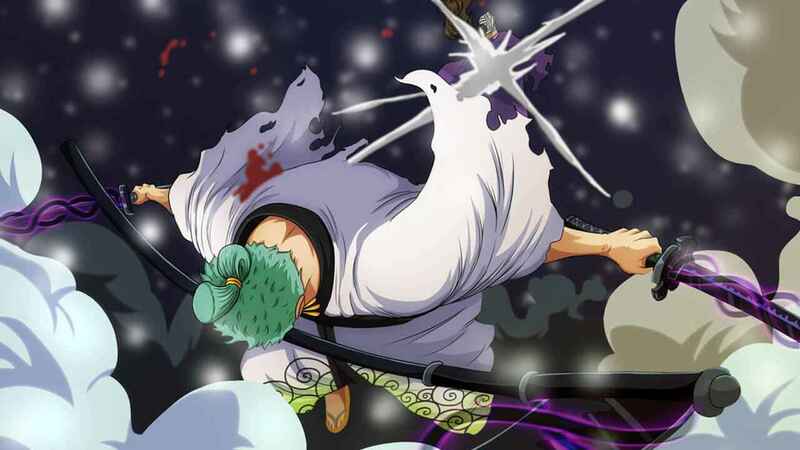 Gyukimaru has left the Oihagi Bridge while Zoro faints after the fight with him and Kamazo. Meanwhile, Inaurashi has been spotted taking with Kinemon about the tattoos. While this is just a coincidence, Kyoshiro also talks about the tattoo in the Flower Capital. The woman who is carrying Toko helped Zoro and it seems like the swordsman’s life is already in safe hands. And for the last page of the chapter, a lady named Hiyori said that she is currently looking for her brother Kozuki Momonosuke. 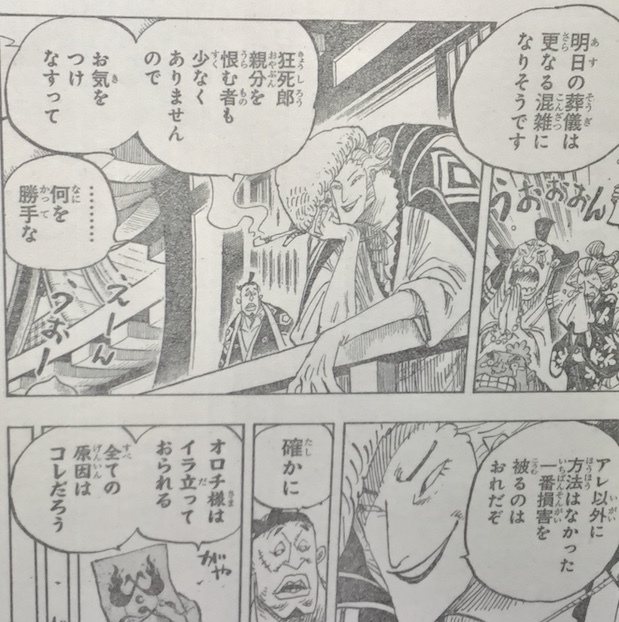 Thankfully, the source already shared the first raw scan of Chapter 938. Please do note that images are not hosted on this website. Since this spoiler is already out, expect to see the early release of the digital scan in the next few days. The official release of One Piece Chapter 938 will be on Monday, April 1, 2019, along with the weekly Shonen Jump magazine issue.